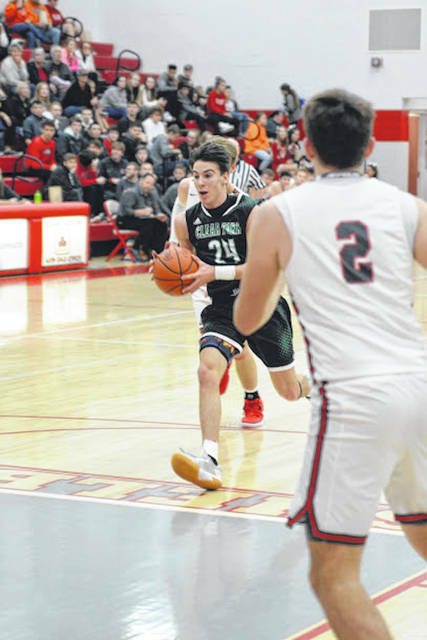 Gannon Seifert drives the lane against Shelby. Clear Fork’s Brennan South finds an opening against the Whippets’ defense on Thursday night. Brady Tedrow mixes it up inside against Shelby in an MOAC game Thursday. SHELBY — The Colts went on the road north and returned with their 11th win — but not without a fight. 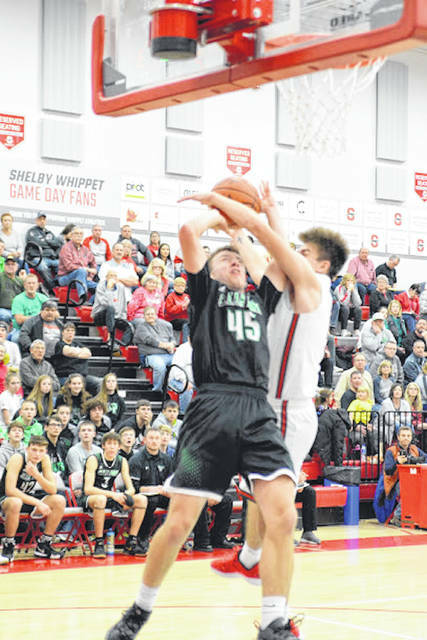 Brennan South scored 21 points and Clear Fork defeated the host Whippets by a 52-48 margin Thursday at Shelby High School in a Mid-Ohio Athletic Conference game. The Colts (11-2, 8-0) led 37-21 at halftime. 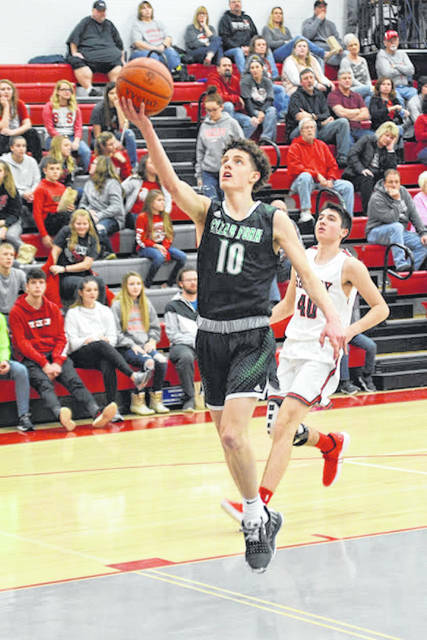 Jared Schaefer added 14 points and Jay Swainhart 10 for Clear Fork. T.J. Pugh paced Shelby with 21 points. Shelby drops to 7-7, 3-5 in the MOAC. The Colts are scheduled to host Buckeye Valley on Saturday, weather permitting.